Moxa, a leader in industrial communication and networking, announced that it is actively participating in the Industrial Internet Consortium (IIC) and will formally join the TSN interoperability testbeds. 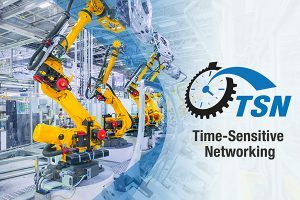 As part of their ongoing commitment to creating innovative industrial connectivity technologies and solutions, Moxa is collaborating with other industry leaders in the IIC TSN testbeds to rigorously test TSN interoperability and ensure that the developing implementation is stable and reliable before coming to market. “We are excited to have the industrial Ethernet and networking expertise that Moxa brings to the TSN community. Our customers need an open and interoperable ecosystem of TSN enabled devices. The investments and participation from Moxa in activities like the IIC TSN for Flexible Manufacturing Testbed will help ensure Ethernet switch interoperability,” said Todd Walter, Host of Americas IIC TSN Testbed, and Chief Marketing Manager National Instruments. “Having Moxa be a partner at the IIC and involved with TSN initiatives and OPC UA technologies is an important step forward in the global harmonization of Industrial IoT connectivity. Moxa brings very valuable knowledge and great products for the vast OPC UA TSN ecosystem, covering all the way from the sensor to cloud,” said Stefan Schönegger, Head of Global Marketing at B&R Industrial Automation.